The back of headrests are often mundane and commonplace. At JVIS, we know they don’t have to be. 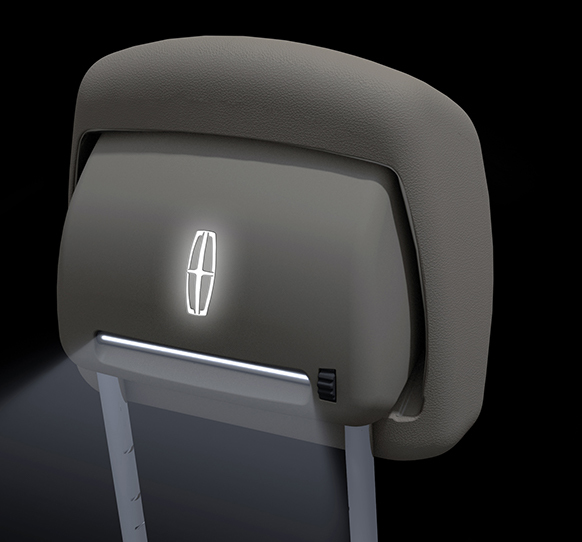 That’s why we pioneered the Illuminated Headrest. Showcasing your stylish illuminated logo, we have further redefined where light can be utilized in a vehicle. Let us take your lighting to the next level today. 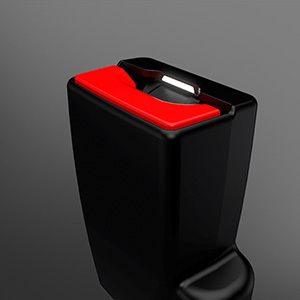 Using an illuminated optical plate, this innovative system lights the entry point of the belt buckle opening. 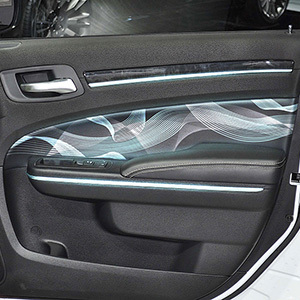 Integrating flat-illumination technologies into fabric and leather, this new JVIS innovation can be used extensively throughout a vehicle. 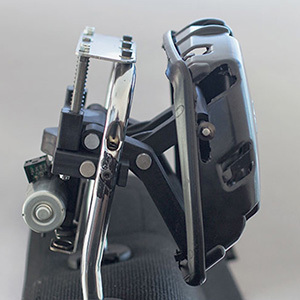 Using state-of-the-art materials for strength, weight, and reliability — our headrest adjuster is a perfect solution for added comfort and safety. 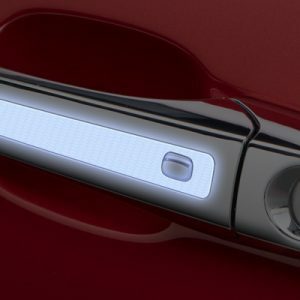 Utilize our light-diffusing technology to create a door handle that provides easier access or instant vehicle recognition.